AMMONNEWS - Kylian Mbappe scored two goals in four second-half minutes to send France into the World Cup quarter-finals with a thrilling 4-3 win over Argentina on Saturday. 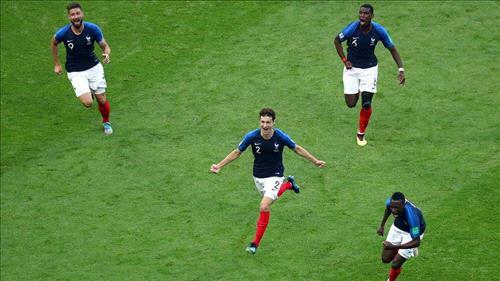 The explosive 19-year-old netted France's third goal in the 64th minute and sealed the win four minutes later with a cool finish to set up a quarter-final clash with Uruguay or Portugal, who meet later on Saturday. Benjamin Pavard also netted a fine strike for France after Antoine Griezmann's 13th minute penalty had opened the scoring. Argentina's goals came from Angel Di Maria, who unleashed a stunning long-range strike in the 41st minute to draw them level at 1-1, before Gabriel Mercado put them ahead after the break. Substitute Sergio Aguero added a third in stoppage time.